“boredom haunts me as I work, I fear it will destroy me. -a note in my sketchbook. Not all old ideas and thoughts are comfortable. Putting them out into the world makes me feel uncertain like I am giving away too much. As for the date if this particular quote it is between January and December 2014. Finding this quote reminds me that I haven’t been happy with my work for some time. I am at the uncomfortable stage of being a maker where I am very aware of how bad I really am. I know my skills aren’t good enough to be where I want to be as a maker. This discomfort pushes me forward, forces me to keep making never quite sure what else to do. This restlessness feeds into my writing projects like the Lending Library and The Potter’s Archive. These are me reflecting on moments as they happen and are set in the solid creation of ceramics, hoping the next moment, the next object will be better. Though this discomfort makes me wonder if functional ware is really what I want to make at all. 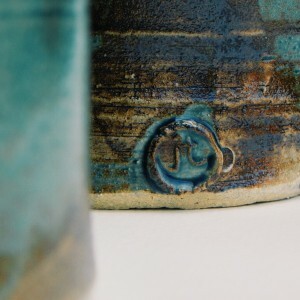 I admire all the potters that make functional work but the economics of selling that much work are beyond me, I just don’t know how to make the numbers add up. This is one of the reasons why I wanted to start the nurph chats, so I could try and glean some information, some spark of an idea that I could use for me own career. I was looking for some hidden nugget that I needed to hear to move on with my own work. 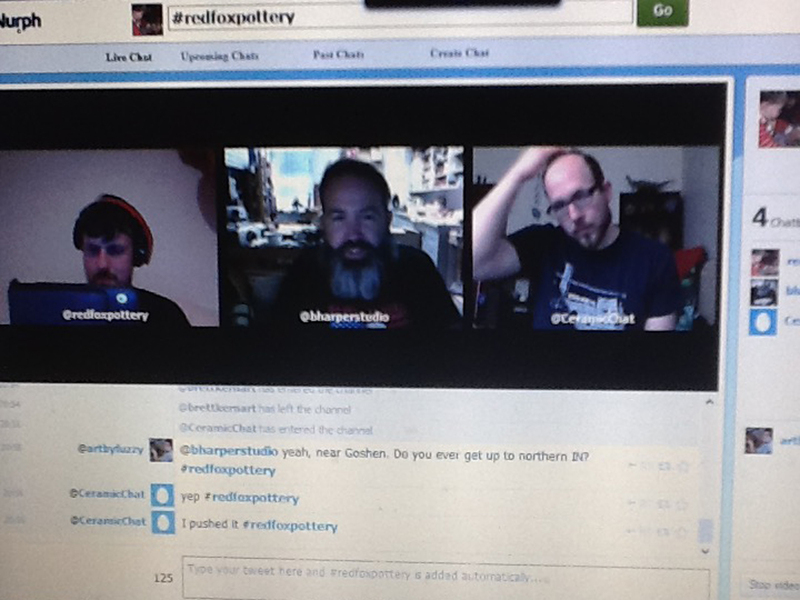 If we use week two of the chat, I need to just work and sell and push forward. If we think more about week three of the chat with Brett Kern he related that he made functional ware up until his master’s degree and it was a change in making work that he wanted to see that really change it for him. I guess I don’t want to find a cast mould for myself, I don’t want to be stuck into any one project forever, doing the exact same thing, over and over; I want to be able to explore. Yes but where does the thought of wanting to explore ever stop? Can you make a career in art merely on exploring? I also dream of making things beyond the regular human scale that most potters get used to working with. I want to go beyond the hand-held scale in some way and break the mould that I trapped myself in 6 years ago. That is why I changed my mark from the rather old fashioned JT to jt to give myself room to play, I know to most it will seem trivial but it is the only way I could do it in my head. I have considered doing the completely over the top jojo but can’t get it easily fit into a circle, that and I haven’t been called jojo in three decades, and I am not sure I want to be known professionally as jojo. All this and my playfulness has still been with functional objects to create some pieces for a project involving the giveaway of pieces for the lending library. I know at some point I need to step away from all this to try and create something else. As I don’t have a big kiln, I always try and consider using smaller objects to make much bigger objects when combined together. I don’t know what I will make yet but I should just get to work and make. 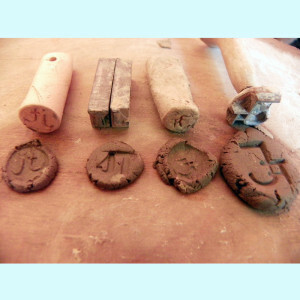 This entry was posted in Learning, Lending Library, Making, Nurph, storytelling and tagged boredom, Brett Kern, Brian Harper, ceramics, clay, makers mark, making, mark making, nurph, pottery, stamp. Bookmark the permalink.